2078 - Photo: Ian Johns. 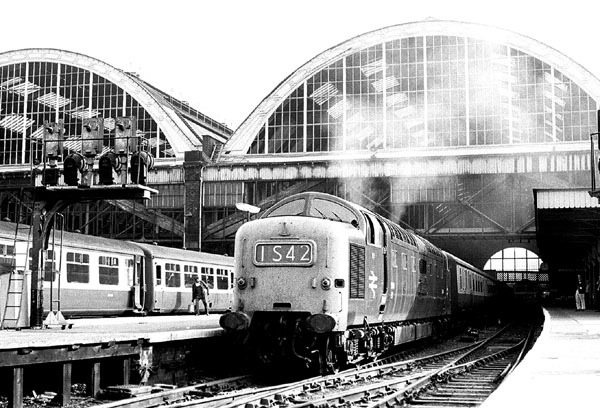 Gateshead's 9014 "THE DUKE OF WELLINGTON'S REGIMENT" gets the 1S42 16:00 service for Edinburgh, the "Talisman", away from King's Cross in this superb view from July 1970. Note the work weary cleaner with bucket in hand preparing to clean the stock on the adjacent platform.